Here, in no particular order, are some reading notes to sample . . . like wine tasting notes, but for stories. In her debut collection, Katherine Fawcett presents mythical and fantastical stories that will stick with you and leave you aching for more. Teeny mermaids, sirens, and unicorns meet the modern world with much awe, misunderstanding and rifle blasts. Fawcett’s voice will make an impact on the Canadian scene. This novel is uniquely Canadian, both in the exploration of a past disappearance of a troubled spiritualist socialite filmmaker and the struggles of the 21st century narrator whose life is increasingly tied to that of the filmmaker with whom she is obsessed. 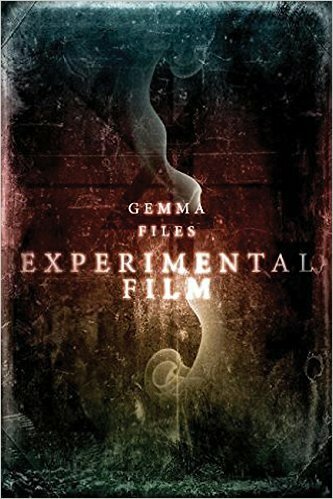 A complex blend of the supernatural, the technological, and the social forces that shape life, Gemma Files' Experimental Film is an unsettling tale that draws the reader into the mystery while expanding our understanding of so many subjects: autism, film, Canadian social history and the perception of reality. Robert Charles Wilson is Stephen King's favourite science fiction writer, and it's not because his style is anything like King's own – it's because Wilson is consistently one of the very best writers working in the field. Every book is thoughtful, complex, prescient and incredibly human. Less physics than sociology, The Affinitiesexplores the power dynamics of groups – by creating new communities, with bonds that are undeniable, unbreakable and…imperfect, of course. 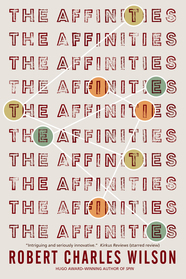 Gripping and fiercely intelligent, The Affinities is classic Robert Charles Wilson. Heather O'Neill's first two novels, Lullabies for Little Criminals and The Girl Who Was Saturday Night, were a critical success, with her first book winning CBC's Canada Reads and the second one becoming a finalist for the Scotiabank Giller Prize. 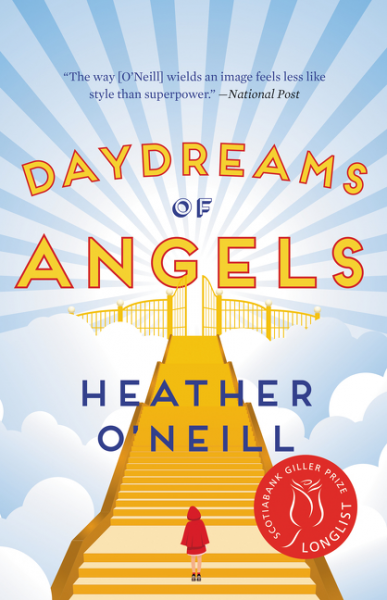 Daydreams of Angels, her whimsical book of fables, also earned her a spot as a Giller Prize finalist. Whether writing about a vain gypsy and a kind-hearted stuffed bear, an experimental group of Nureyev clones, or a feral Wolf Boy who finds himself living in high society, O'Neill takes an outrageous, fantastical premise and manages to humanize it, through empathetic, elegant storytelling. 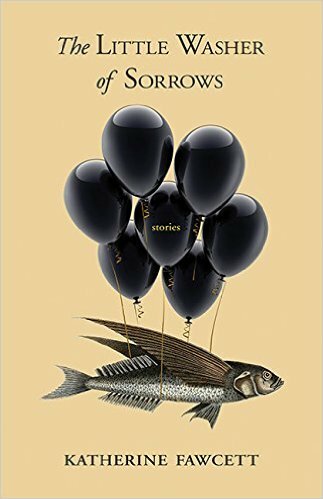 In this author's deft hands, these stories employ a bit of satire, a touch of postmodern cleverness, and more than a dash of heartwarming tenderness. Mexico. 1988. A fifteen year old girl discovers she can cast spells with the power of music. 1990. She returns for her father’s funeral. This gritty story follows Meche, both young and adult, as she grapples with friendships, love, heartbreak and the choices she must make with her newfound powers. This journey forces you to reflect how your own childhood has shaped your adult years; but now you have the choice to make changes, hopefully for the better. A treat for music lovers; a delight for readers of any age. If you're of an age to have read Kenneth Oppel's Silverwing series as a young person, you will not be surprised to learn that he has crafted a new masterwork. The Nest is utterly engaging and surreal. When telepathic wasps build a nest in Steve's attic, they seem benevolent - trying to get his help in "saving" his defective baby brother. But time is running out and the creatures' motives and methods are less than clear. 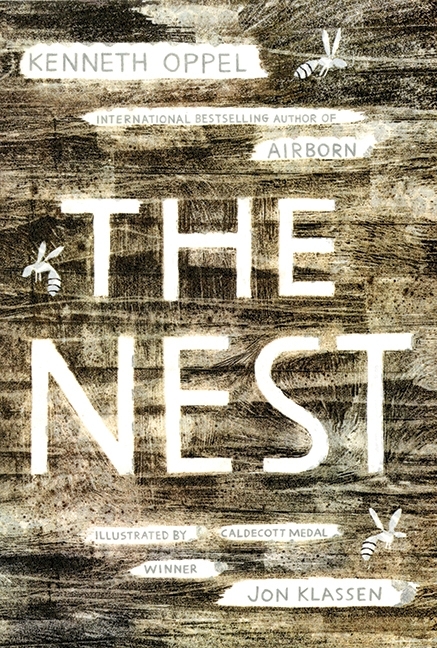 The Nest is thrilling, nightmarish and ultimately – life affirming. 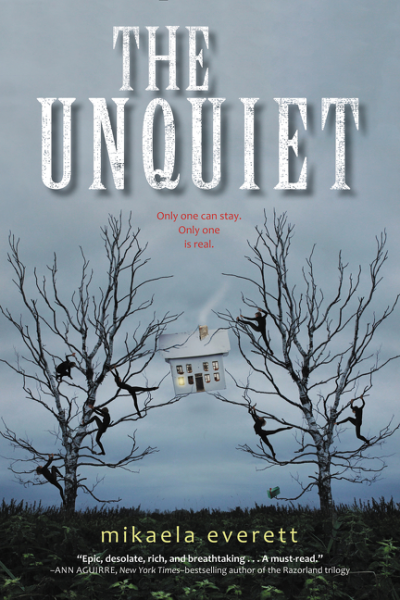 Everyone who believes that the world needs more strong female teenage characters in disquieting stories, should look into Mikaela Everett's stunning debut novel,The Unquiet. Everett's heroine, Lirael, is one of an army of child sleeper-soldiers trained since infancy to kill their doppelgangers on an alternate Earth (our own) and take over their lives. Discovering what this means in real terms offers challenges – for Lirael and for readers of this haunting novel. 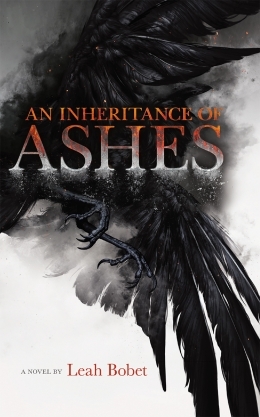 The masterful storytelling in Leah Bobet’s An Inheritance of Ashes confirms the formidable talent seen in her 2012 début Above. Far from the horrifying ravages of a strange war against supernatural forces, a farm family struggles to survive and to understand the history being shaped by their losses. Outcasts themselves, and full of internal conflict that has scorched their hearts, the family already faces encroaching supernatural forces before they shelter a returning soldier and find themselves thrust into the centre of a conflagration none of them fully understand. Sixteen-year-old Hallie must find the courage to face grief, the power of legends, and the fear of unknown and unknowable forces. Ride your bike to the edge of a mountain, take a deep breath and start downhill. Now close your eyes. 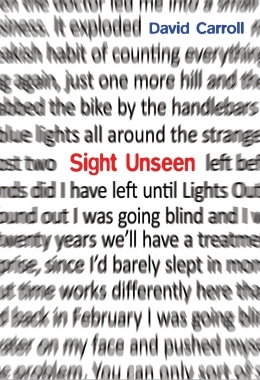 Sight Unseen takes a grip on your heart in the tale of a young man slowly going blind. A strange discovery at the summer cottage gives him a chance to see perfectly again – but at the cost of...well...everything else in his life. Through the unburdened moments of pure childhood joy to the terrors of panic-inducing disease, David Carroll offers an unforgettable story for young and adult readers. Heaven is...a town entirely made up of thirteen-year-olds? Boo wakes up in the hereafter, thinking he died of a heart defect. But he may have been murdered, and the murderer might be there too. 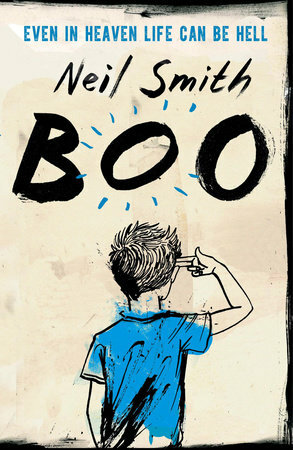 A powerful romp that tugs at your heart strings as Boo tries to make sense of his new reality and track down an unexpected killer. A memorable take on life after death and life before death. Originally appearing in Abyss & Apex, prolific speculative fiction writer Michael Donoghue's confounding time travel story loops and arc with inventive plot twists, convincing scientific jargon, and a quirky sensibility. When our hapless protagonist-physicist meets his older self at a grocery store checkout, what ensues is his obsessive quest to build a stable wormhole, win the lottery, and win back the love of his life. Donoghue's take on the familiar time travel trope is outlandish, clever, and completely hilarious. With award nominated stories in Clarkesworld, Tor.com and the Exile Anthology of New Canadian Noir, 2015 would have been a breakout year for Kelly Robson even without landing "Two Year Man" in Asimov's. The emotionally devastating, yet eternally hopeful story of Mikkel and his need for a family he is forbidden to have speaks eloquently to the human condition – with nary a human in sight. Rebecca Campbell's "The Glad Hosts" was one of a number of poetic and stylish stories that we read from the underappreciated and amazing Lackington's magazine. In this tale, which is equal parts elegiac and joyful, Campbell's heroine, Mai, reflects on her humanity – what it means to have it and lose it – as she is subsumed into the ecoculture of Shanti, the planet where she has settled. One of many great stories in Michael Rimar and Hayden Trenholm's Second Contacts anthology. 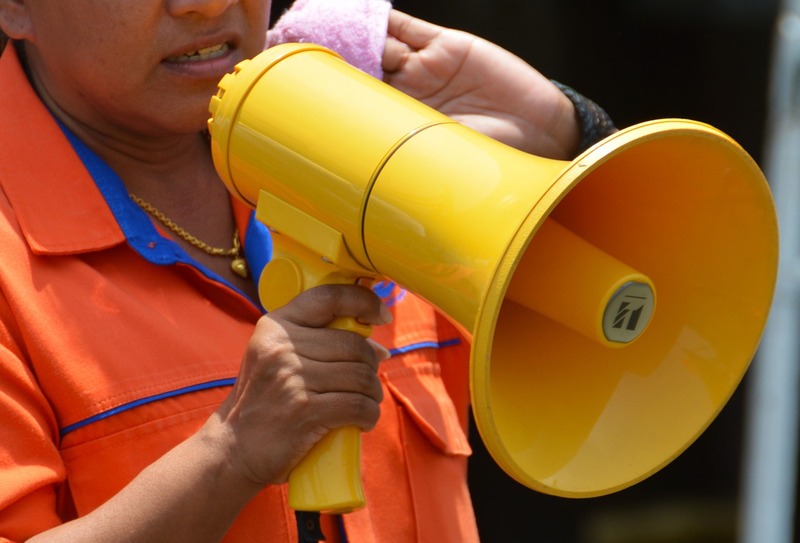 Peter Wendt's "Get the Message" features a ticking clock, the impending destruction of the human race and an appeal for help that falls on deaf ears – or equivalent to ears – in species across the galaxy. 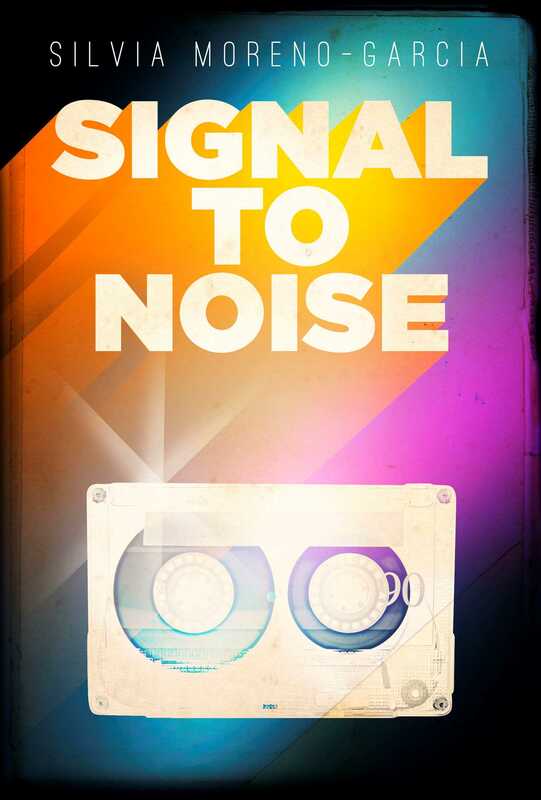 With a brilliant balance of humour and tension, "Get the Message" shows how being on your own ain't necessarily a bad thing. Charlotte Ashley’s swashbuckling fairytale-fable La Héron (Fantasy & Science Fiction, March 2015) has the feel of a beloved yarn in the French tradition. A not-very-secret illicit tournament attracts contestants who are determined to shape the odds in their favour, but the tough old heroine and her second for the duel (a pugnacious nun) have their own tricks up their sleeves. Wedding the exuberant style of Dumas and the fable tradition of Jean de La Fontaine, Ashley has crafted a classic story with an enduring voice. Nova Scotian short fiction writer Catherine MacLeod's creepily resonant domestic "Hide and Seek" marries the trope of an invisible child with a Victorian etiquette manual and a professor intent on using tech to extend his infidelity - by rendering his virtually invisible wife truly invisible. A gratifying read for anyone who cannot remember eating the last piece of cake, this short story in Exile Editions' Playground of Lost Toys whets the appetite for more.